BETHLEHEM — The boys lacrosse team easily defeated Troy during its home opener on Thursday, April 4, by a score of 22-5. 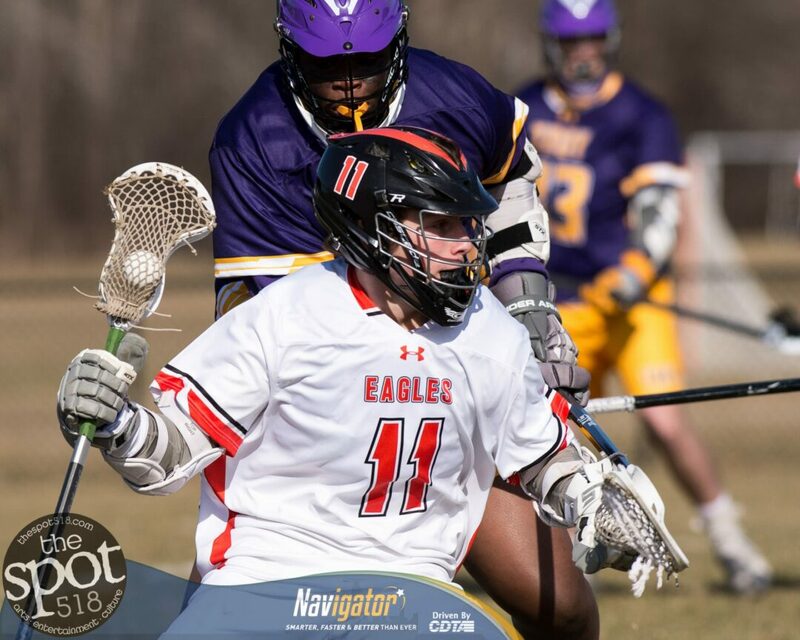 Ben Reilly had four goals and five assists to lead The Eagles while Anthony Canova had four goals and two assists and Liam Ferris had four goals and an assist. Tyrone had two goals for Troy. Matt Stento had three saves in goal for Bethlehem. On Tuesday, April 9, Bethlehem will play at Averill Park and on Saturday, April 13, will play at Guilderland. Troy will play at Niskayuna on Thursday, April 11. SPOTTED: Shaker shuts out Averill Park; lax Coach Hennessey sets school record for wins April showers? Read a book!